Before there was the FearTASTIC Vault Keeper, there was a child. Fairly new to the country and had little to no experience in movies, let alone the world of horror entertainment. It’s strange as you get older, which memories tend to purge out of your head and which events cling on to your psyche that bear such influence in your future endeavors. 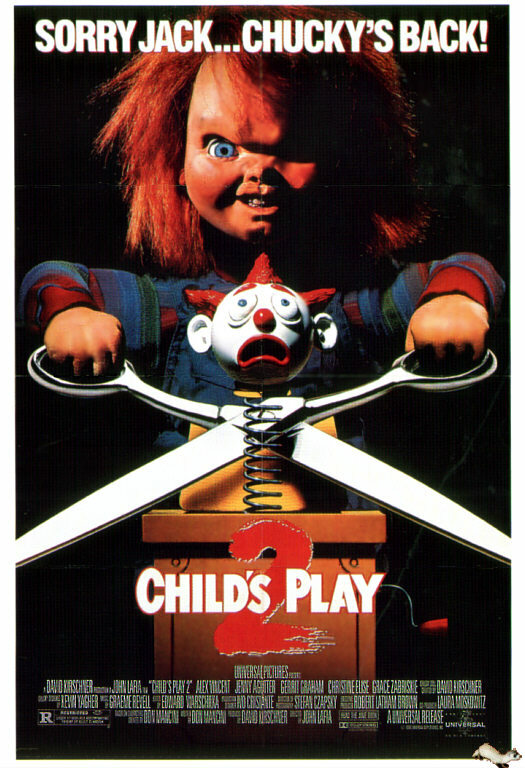 I came to this country at the young age of three from the Philippines and although it may be not the case, the first movie I remember watching in this new country was Child’s Play. The gold standard of the killer dolls come to life, this flick is centered around a little boy who loves his new doll Chucky, which unfortunately happens to be occupied by the soul of a murderer through the fantastically convenient power of voodoo (because why not). Now, I’m not sure if I begged my way into watching the flick or my folks did not have a clear grasp on what Child’s Play was entirely about but I do know that at some point my whimpers in trying to get through the first half of the film was giving me all sorts of FEAR sweats (it’s a real thing, I swear!). Now, my father was more of a practical man and thought establishing the elements of fantasy would get rid of the fear so he insisted that I walk up to the television and touch the screen as the movie was playing! Of course, it HAD to be the scene where (SPOILER ALERT) a burnt Chucky is walking down the hall, stalking our little boy hero and his mother. As I got up, I remember thinking there was no turning back and it could only go two ways; this can make me even more scared or I instantly get over my fear. Anyone care to guess which direction we went by the time I touched the screen? I realized that this was all entertainment. A charade; a fake thing that ended up on the screen to make people scared…for no other reason than to entertain. I’m sure my brain wasn’t as eloquent but I do know that the logic was there and the rest was FearTASTIC history! 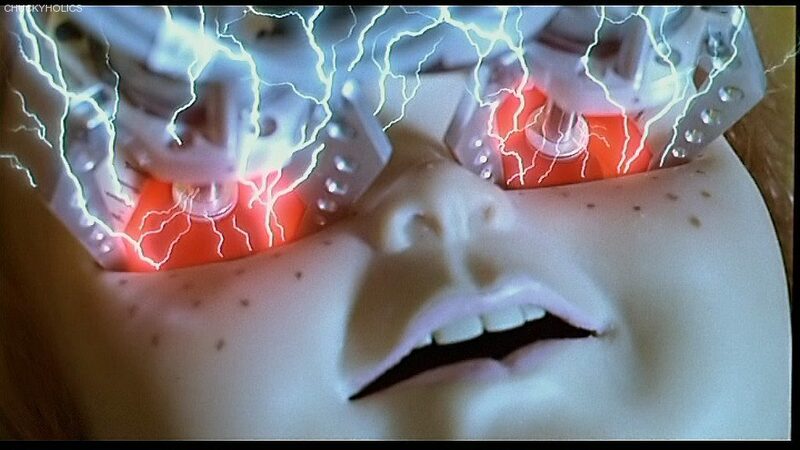 This is what it felt like when I watched Child’s Play for the first time. By the time I got my hands on Child’s Play 2, I was on my way on being a horror vet but I do remember avoiding the film for a while. I must admit there was a slight fear that fear itself would still reside when watching this movie. Although the first flick started a new chapter for me in spending countless hours watching movies, if the fear did come back, would I enjoy these flicks anymore? The poster met the criteria; a menacing Chucky in process of cutting off a Jack in the Box’s head. Before I could muster up any sort of courage to watch the movie, of course it pops up on basic cable so now I HAD to give it a watch right? 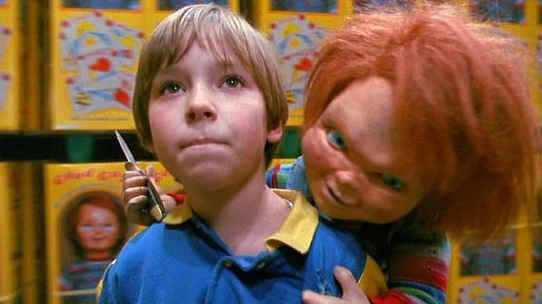 Now with any horror flick to basic cable, all the good parts would be censored but still, the kills were only the second best thing with any Child’s Play/ Chucky movie. The true beauty will always be with the maniacal, commanding and creepy voice of Brad Dourif. That man gave Chucky such substance in the sense where this man truly was a serial killer who got himself into quite a pickle so there was always a sense of frustration and urgency that Dourif gave to the doll which made him more dangerous as he tried to escape the hell that he put himself in the form of a child’s toy. 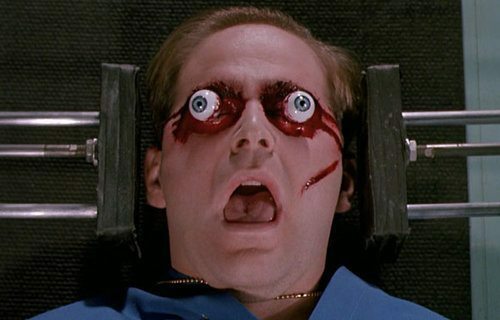 Lasik surgery at it’s worst! Wait no…this is Lasik at its worst. As I hoped, the second movie was even better than the first! While the original had an ominous tone that made the audience wait patiently to finally see the doll come to life halfway through the movie and become an all-out killing machine near the end of the final act, the sequel gets the blood flowing quite quickly because we all know the doll is coming to life. We all know that it’ll scream that blood curdling scream as it chokes its victims and of course, that CLASSIC Chucky laugh that has to be in my top five sound bites in ALL of horror media! The movie follows our young hero Andy (Alex Vincent) as his mother (from the original) is hauled off to a psychiatric ward and forced to live with a foster family. There, he befriends a fellow foster teenager named Kyle (Christine Elise) as Chucky makes his way back into Andy’s life to finish what he started in the original flick; transferring his soul into Andy using the power of Voodoo! The chant that leads to the soul transfer is legendary in my mind; although I don’t know the exact words, the cadence and the tone always stuck to my head. Brad Dourif does such a great job in making the voodoo chant both ancient but also spooky in tone as if demons would rise from the ground as he bellows out each line. When Chucky calls shot gun he GETS shot gun. No child gets left behind at THIS school! 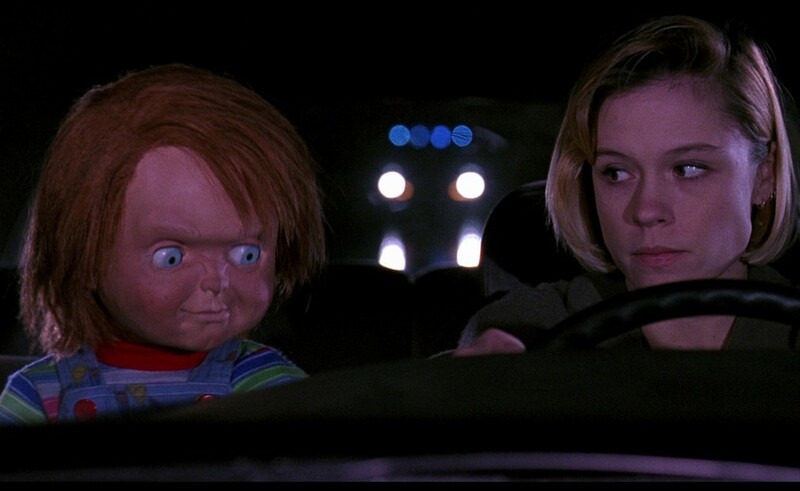 As I kept watching the movie, I realized that the kills were the second best thing about the movie and that Brad Dourif voicing Chucky himself was what I looked forward to the most. He brought that damn doll to life and shaped my movie watching life FOREVER. 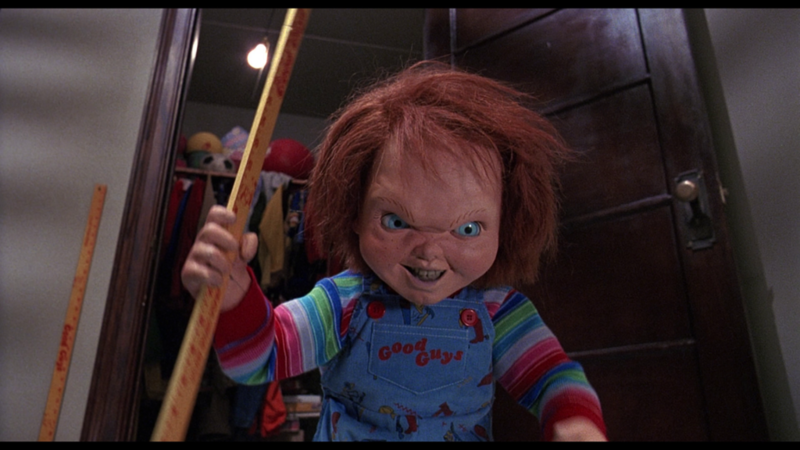 Okay, is it just me or does Chucky look even MORE creepy in doll mode? 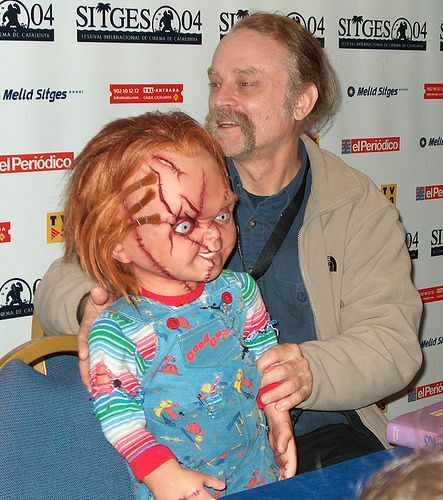 Thank you Brad Dourif and please accept my humble offering in being the 2016 inductee to my FearTASTIC Legends Vault for a lifetime in bringing Chucky to life that brought so much entertainment to the horror world and set the path for this fan for life!